These crab cakes, made with fresh crab, onion, bread crumbs, and a touch of mayonnaise are coated in panko bread crumbs creating a delightfully seasoned appetizer for any day of the week. Thanks to the air fryer, they are ready in just 45 minutes! Garnish crab cakes with fresh parsley with a side of your favorite dipping sauce to serve. 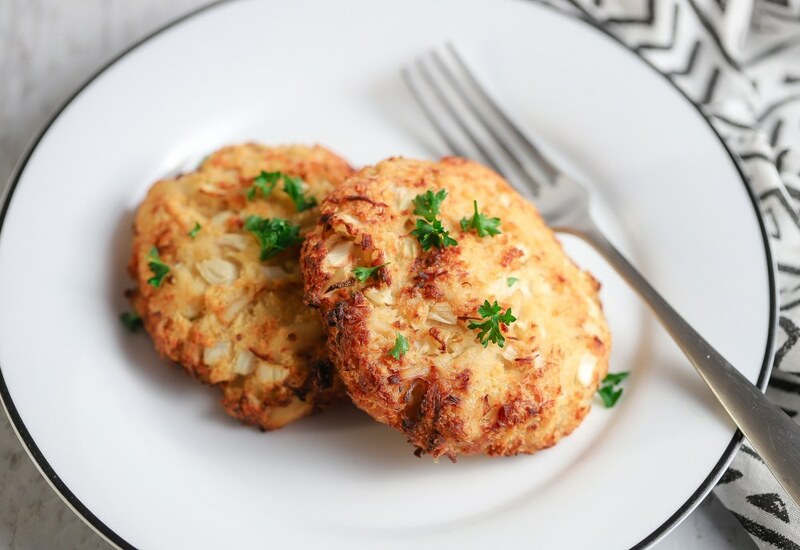 Make these crab cakes gluten-free by using gluten-free bread crumbs and gluten-free panko bread crumbs and gluten-free Worcestershire sauce. Per Serving: 235 calories; 5g fat; 32.8g carbohydrates; 13g protein; 78mg cholesterol; 774mg sodium.